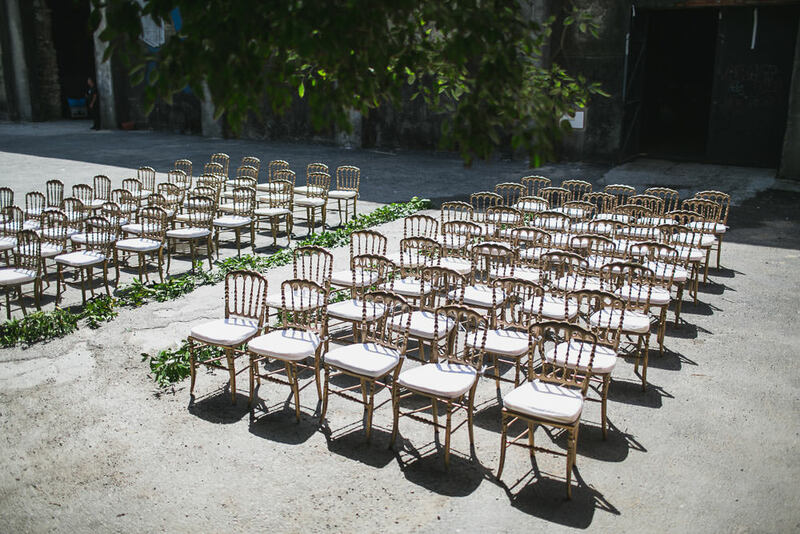 Lx factory industrial lisbon wedding photographer. 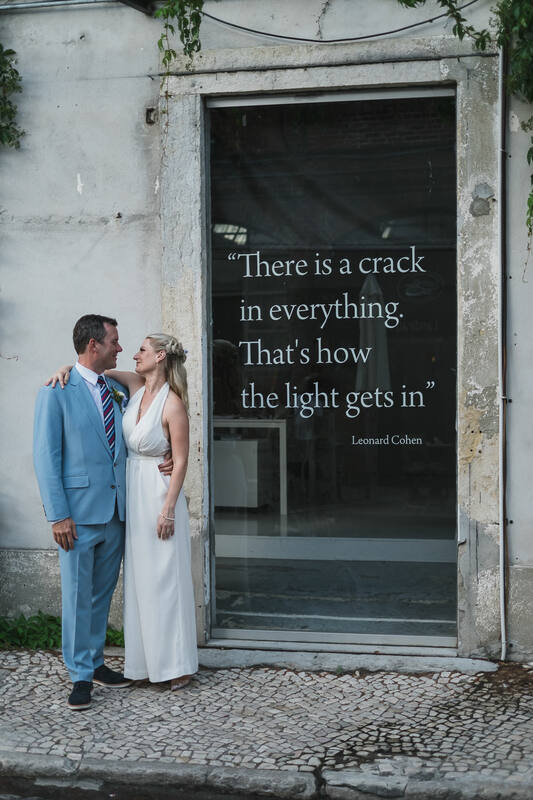 Working as a Wedding photographer in Lisbon it’s always a way to connect people and tell stories. 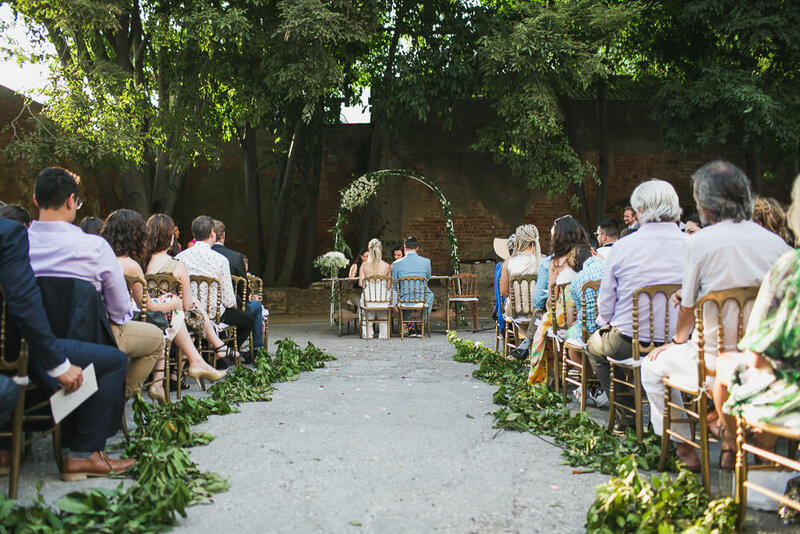 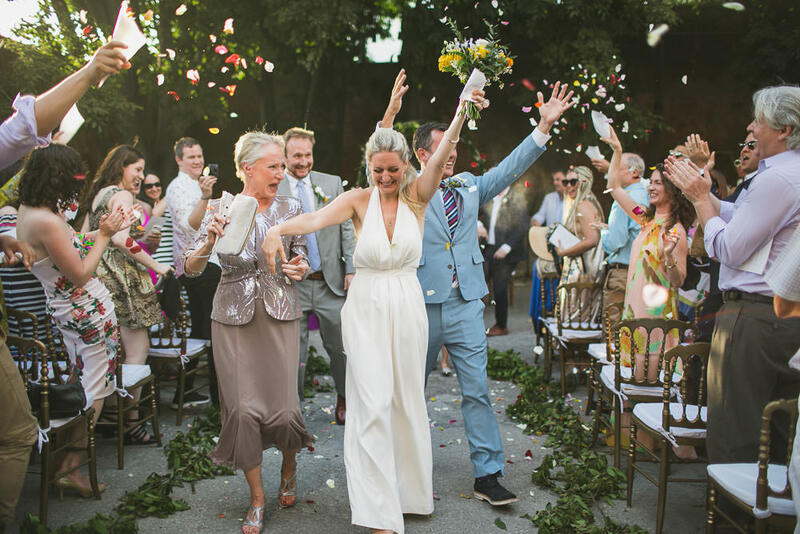 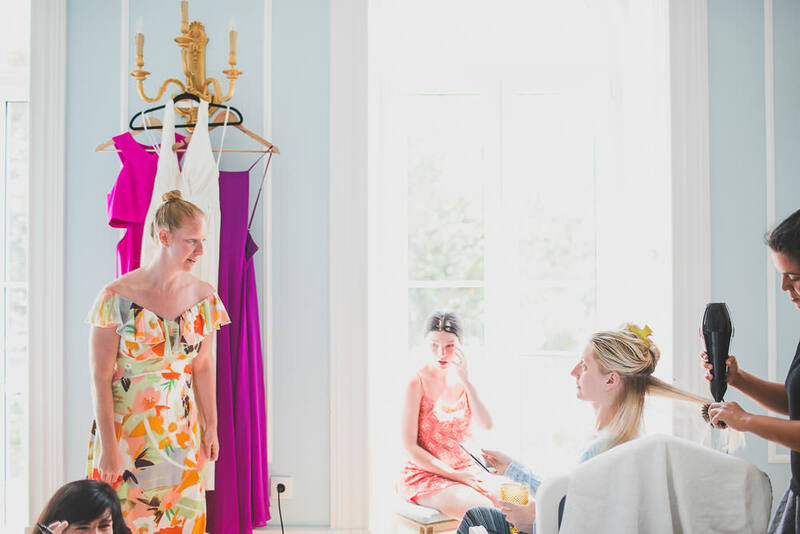 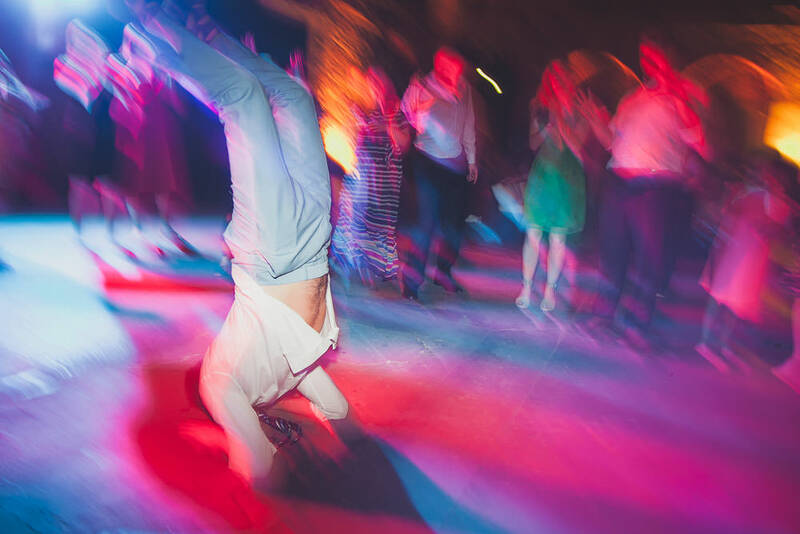 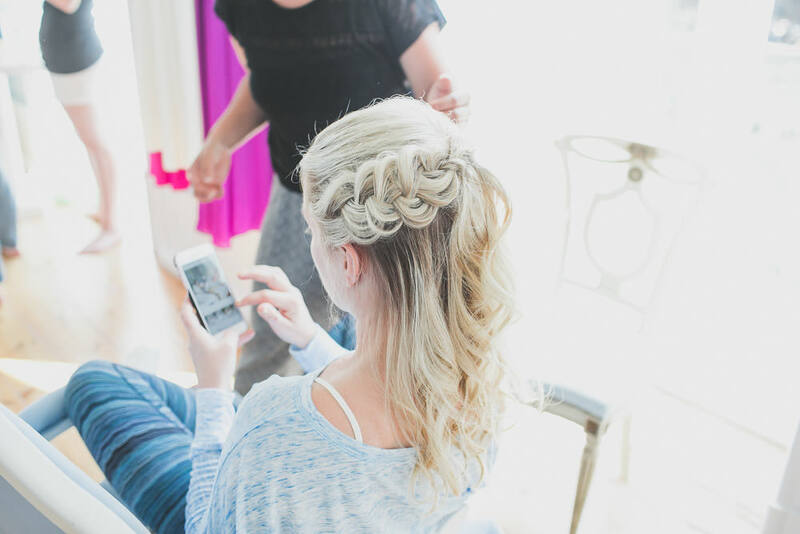 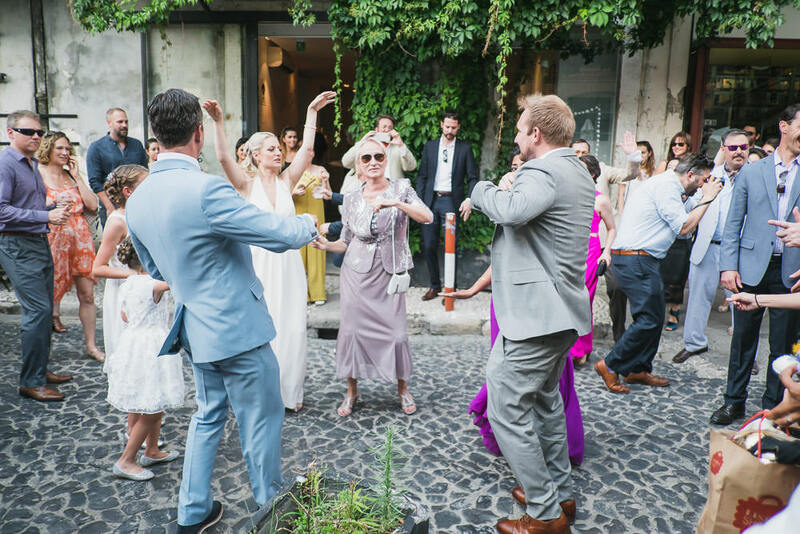 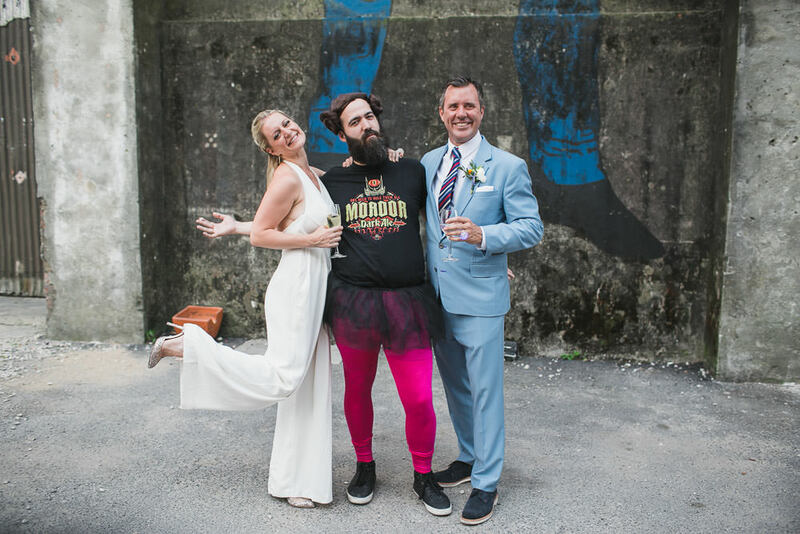 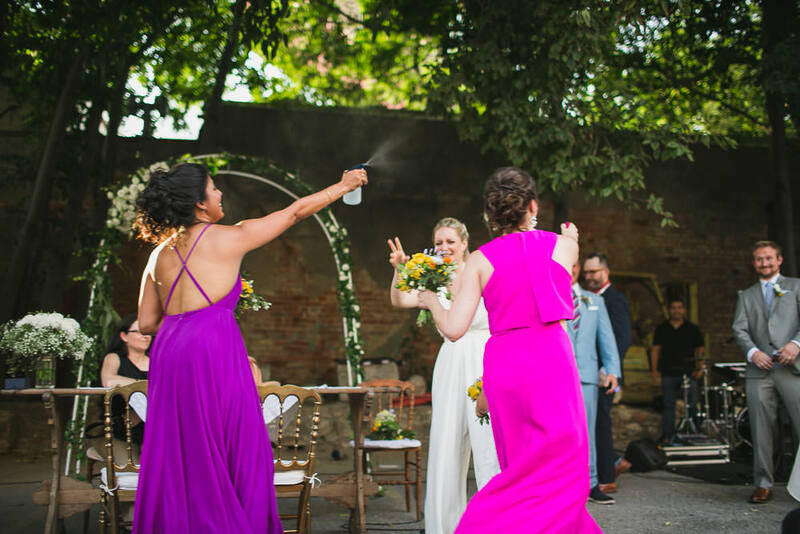 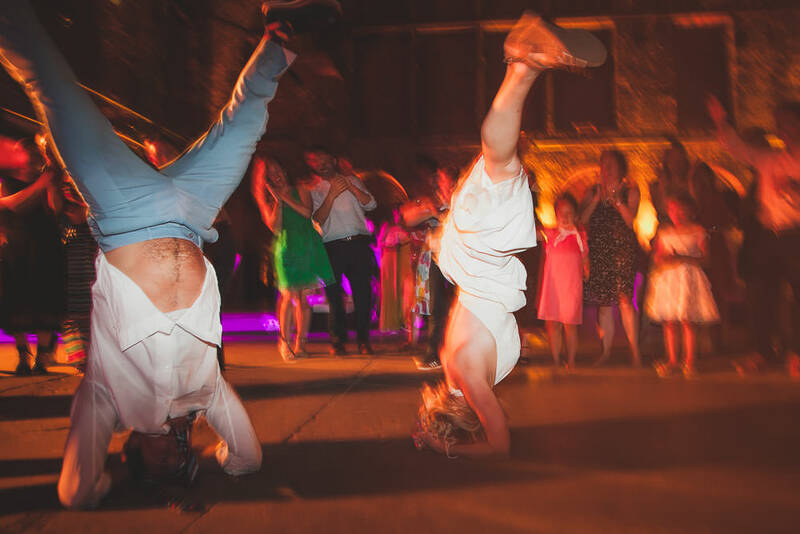 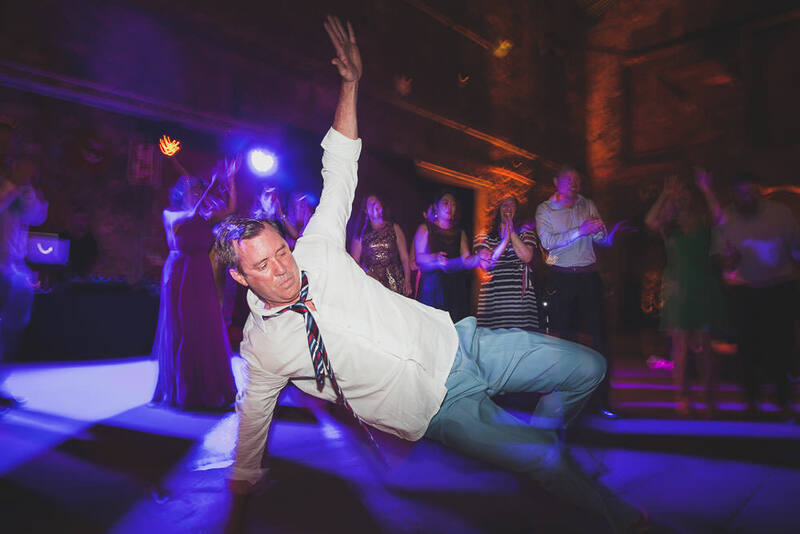 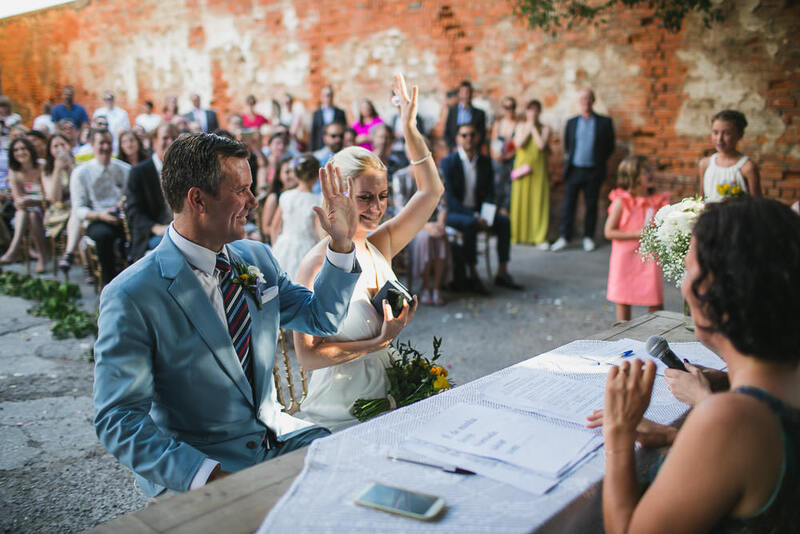 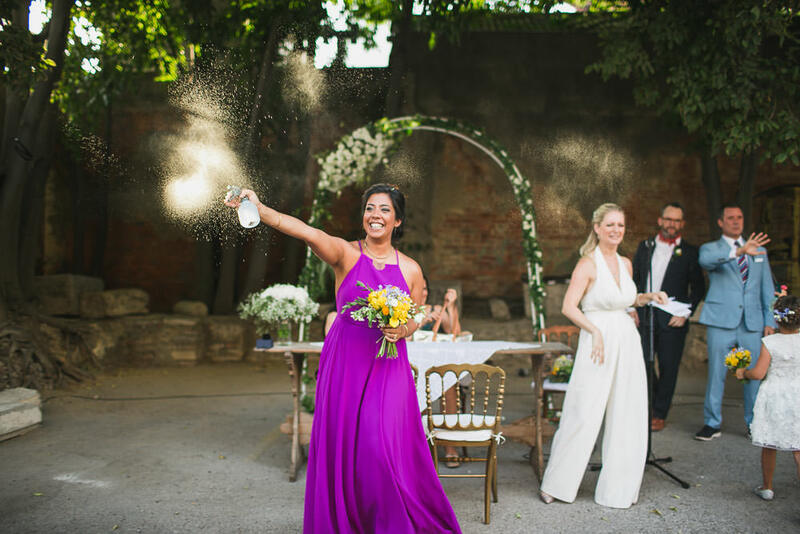 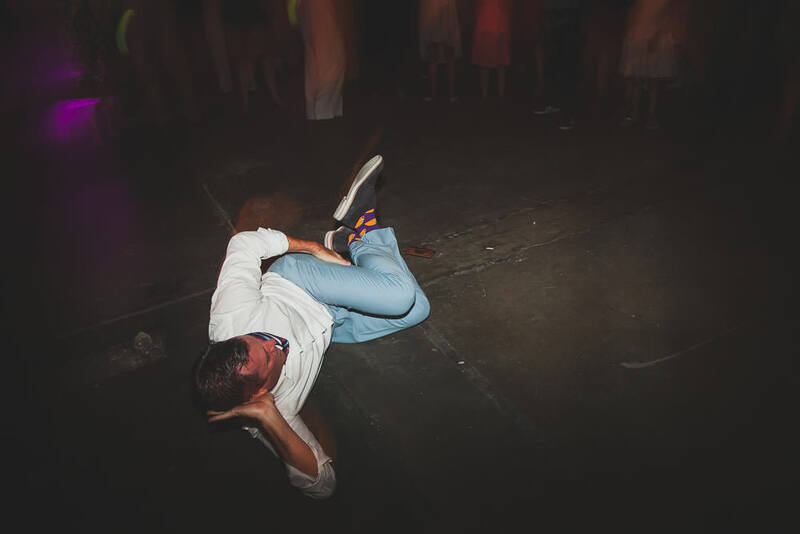 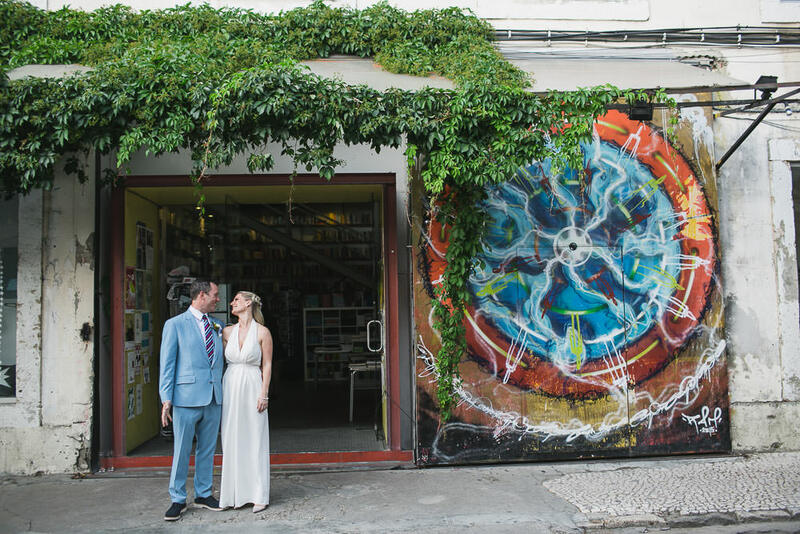 The couple organized a shaping up quirky, rustic, artsy, and nontraditional ceremony. 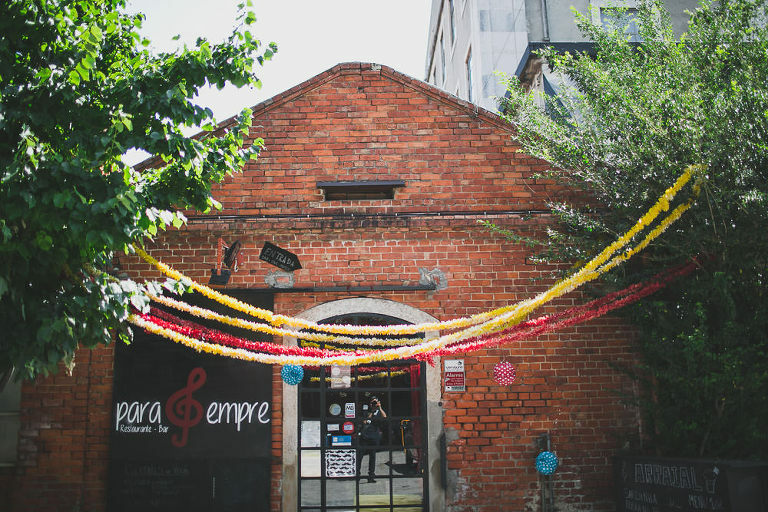 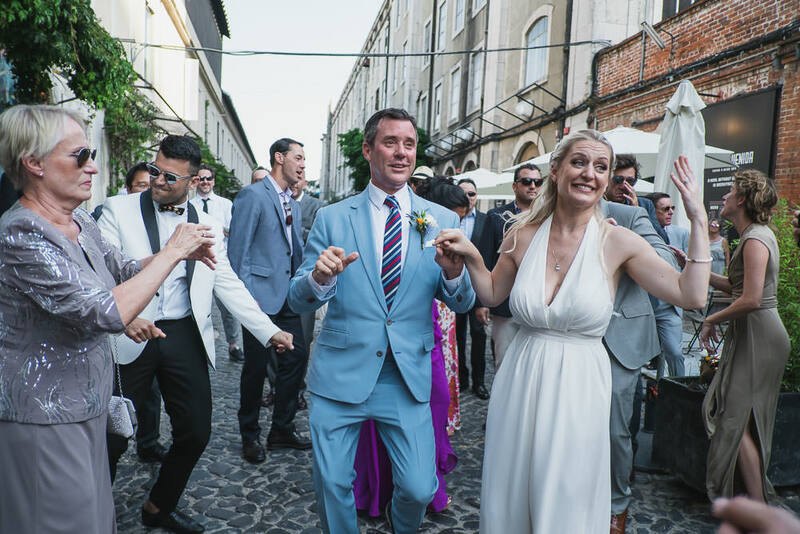 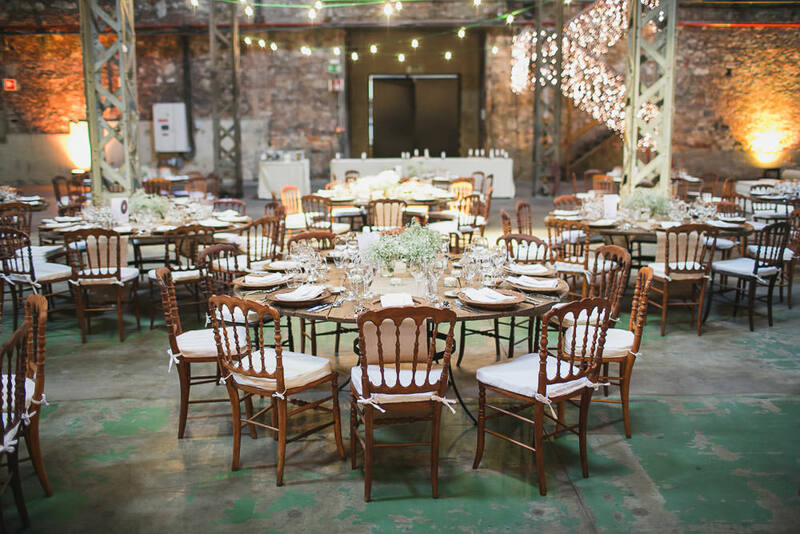 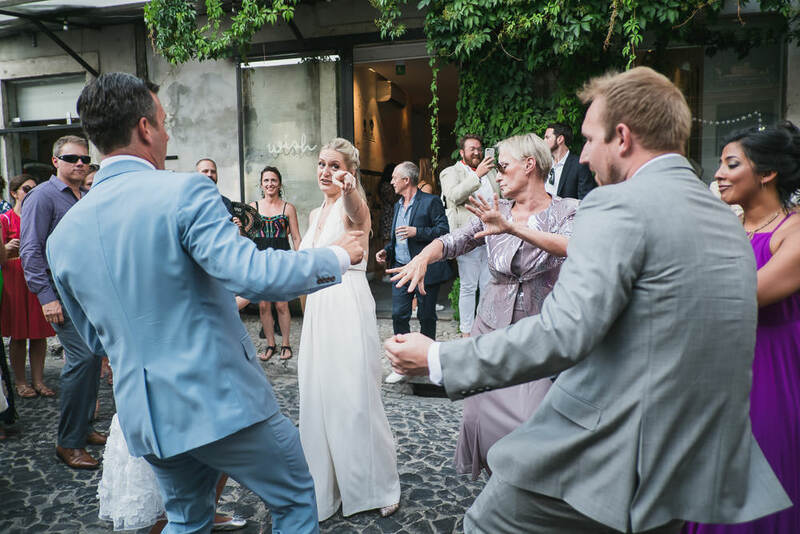 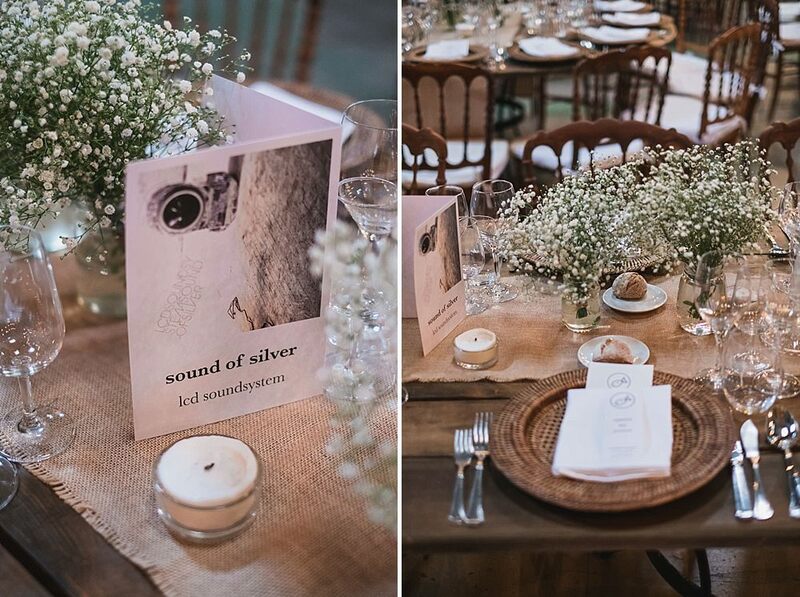 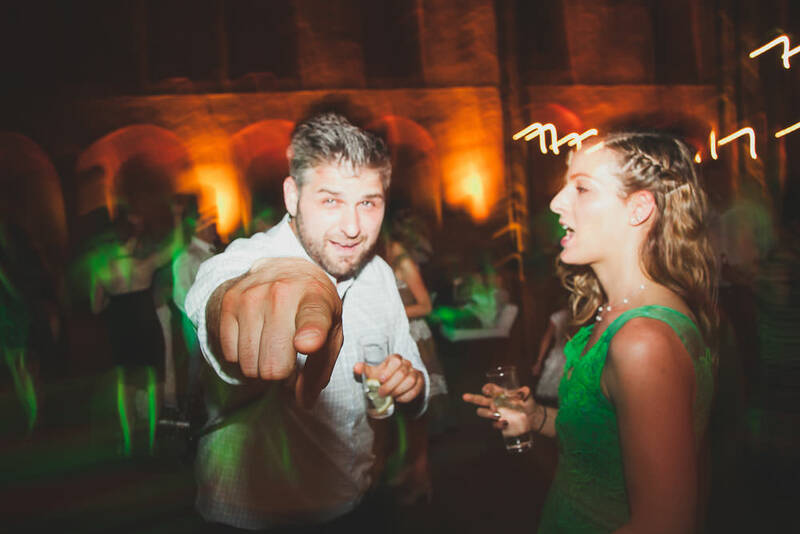 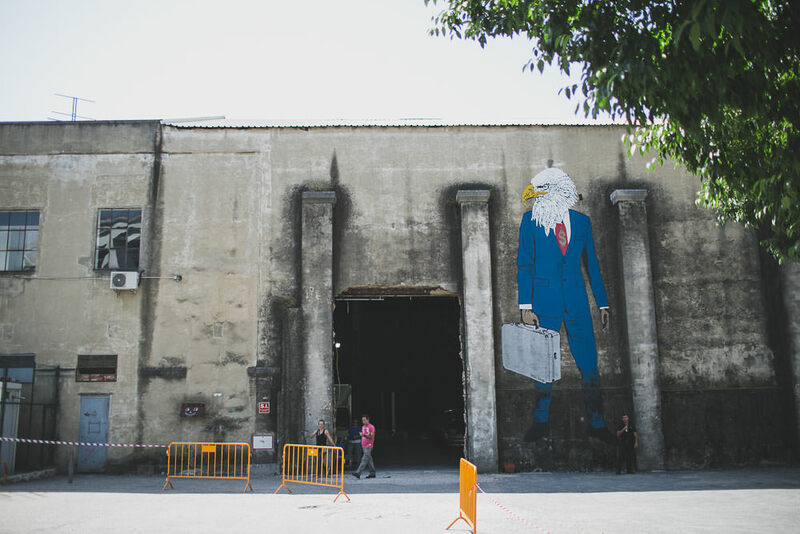 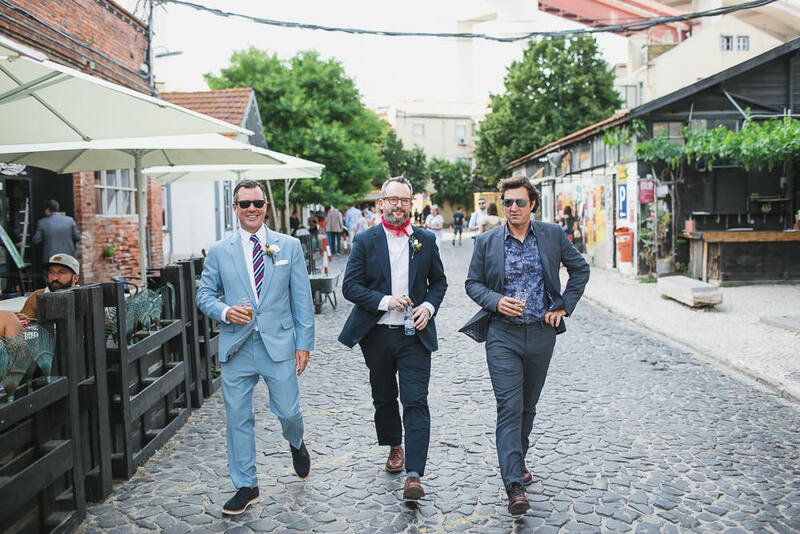 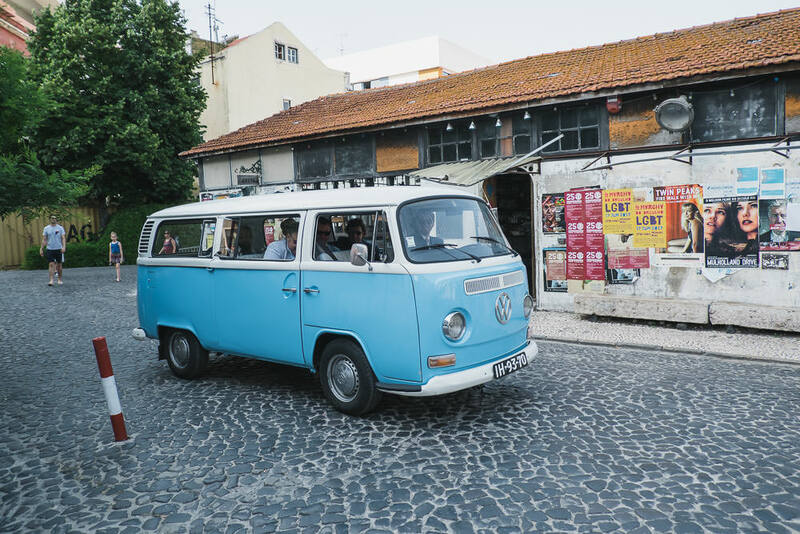 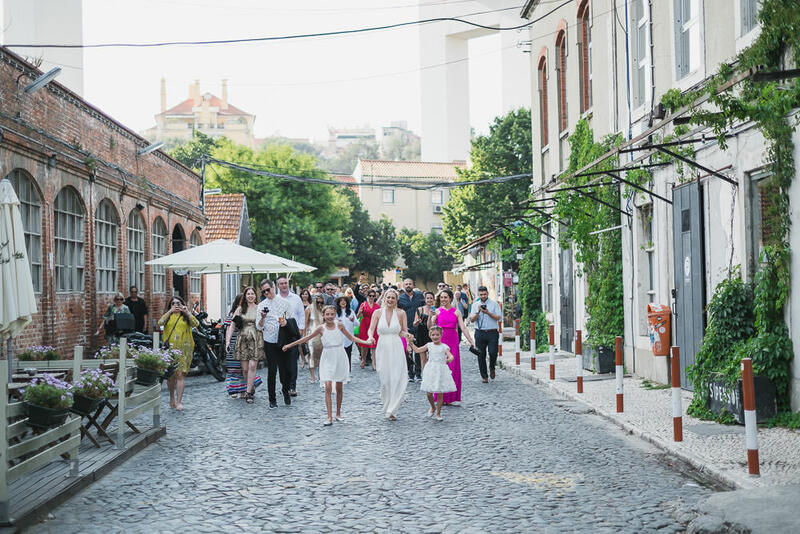 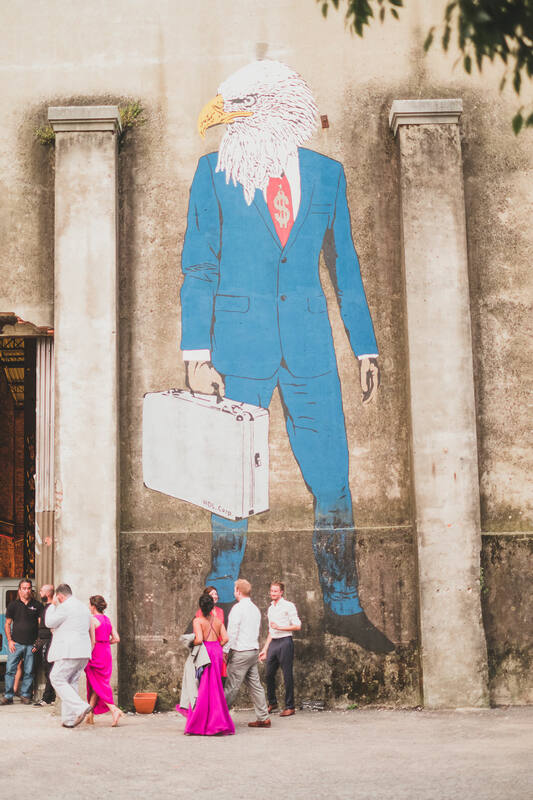 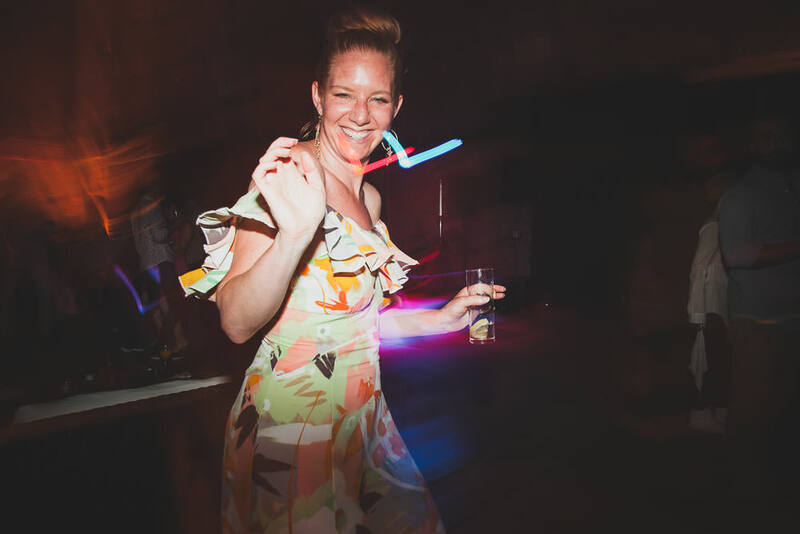 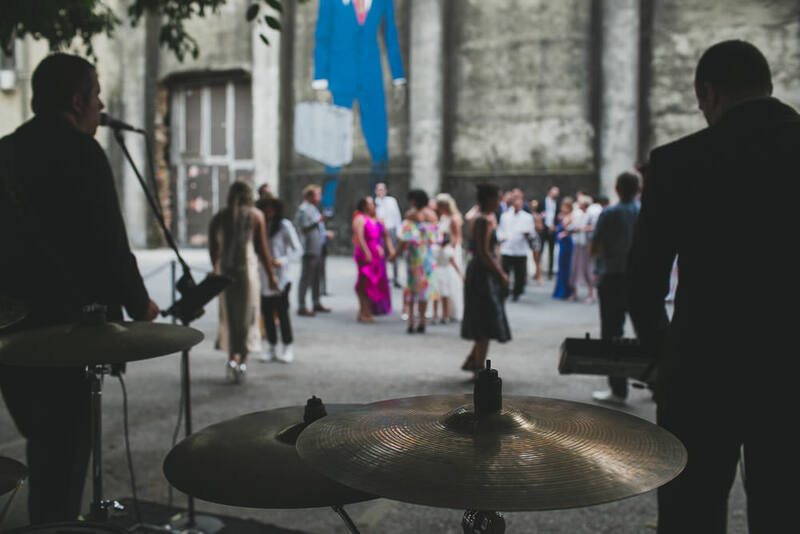 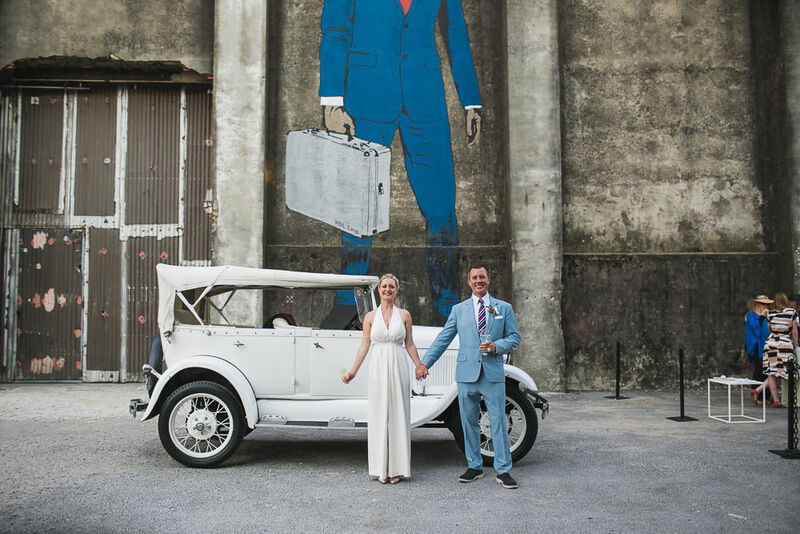 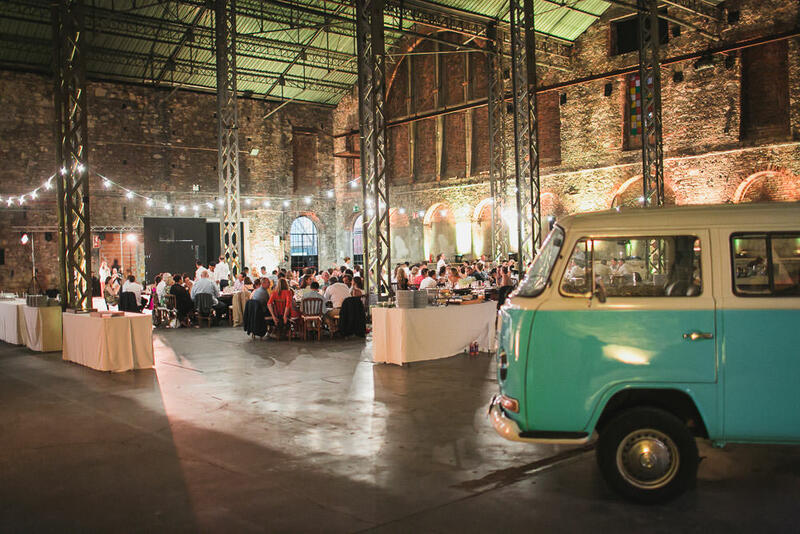 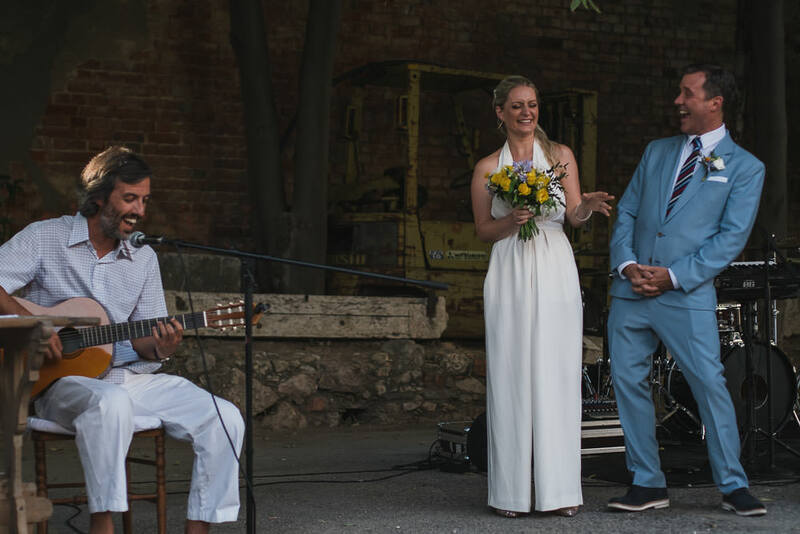 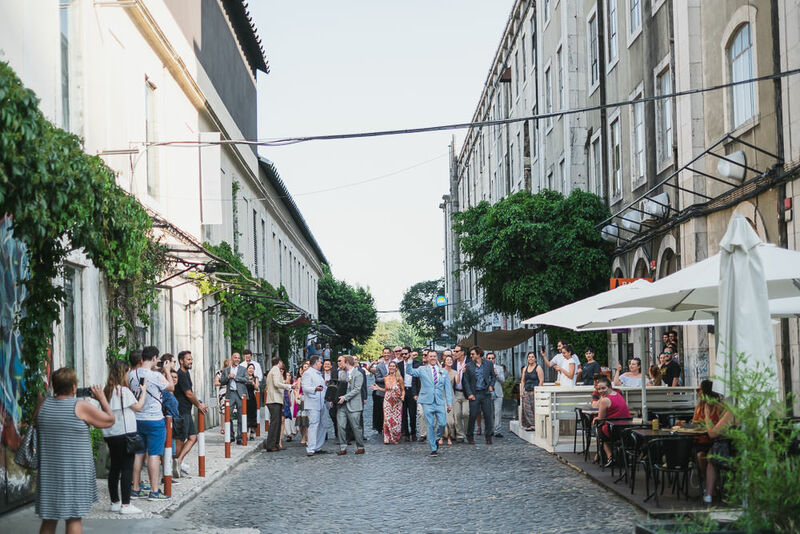 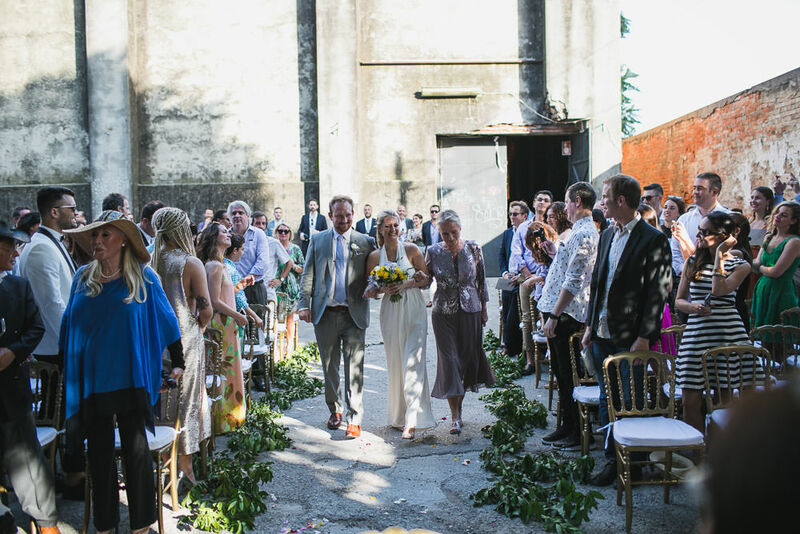 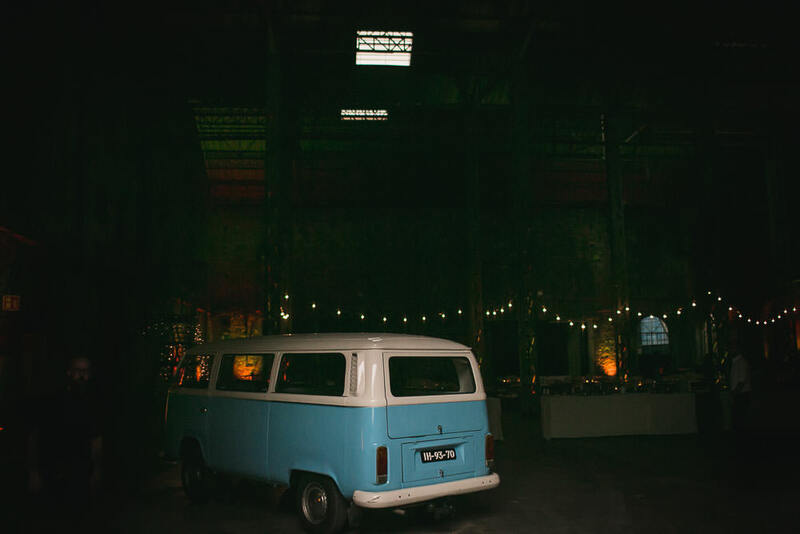 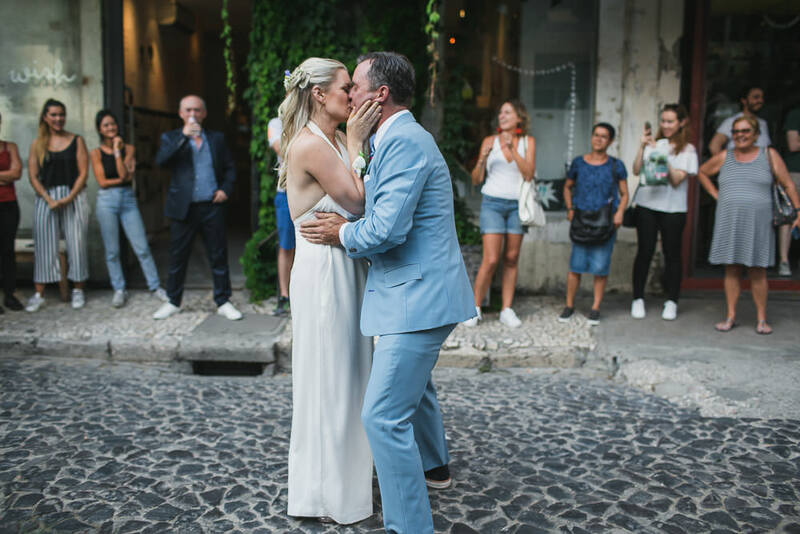 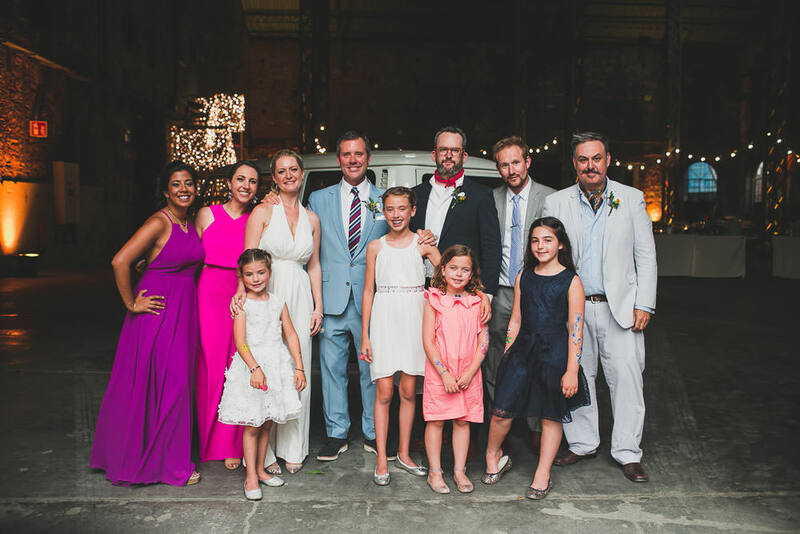 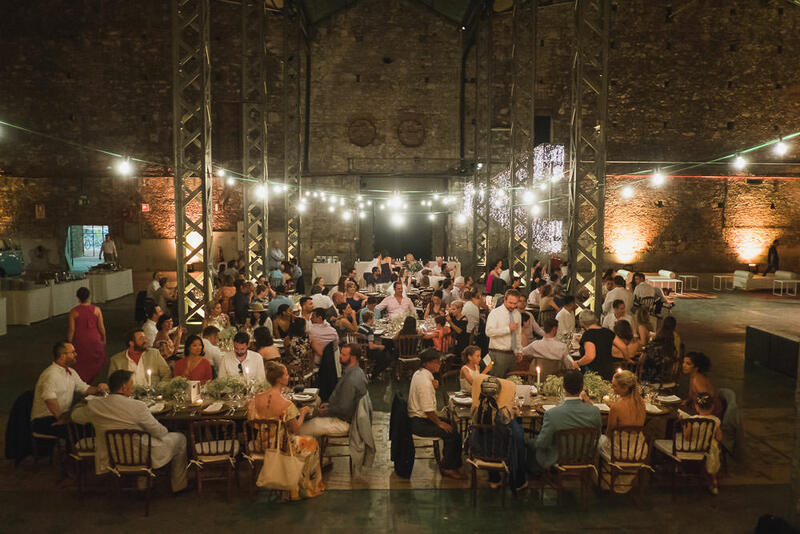 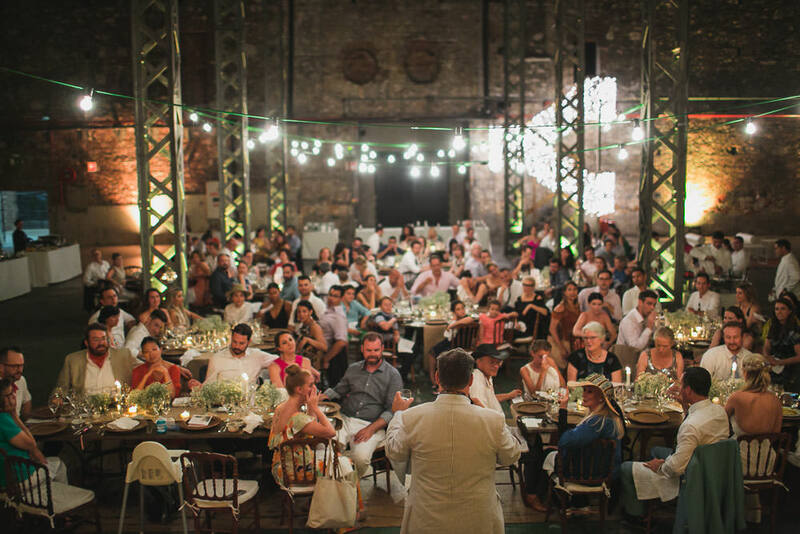 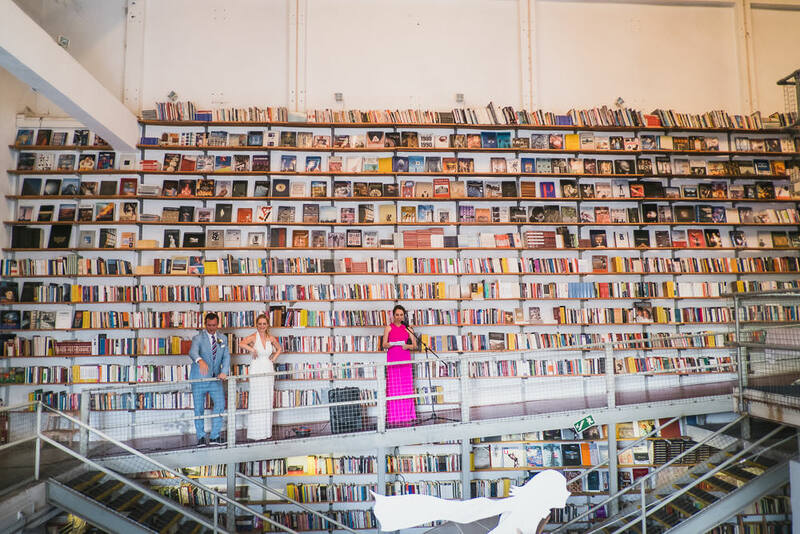 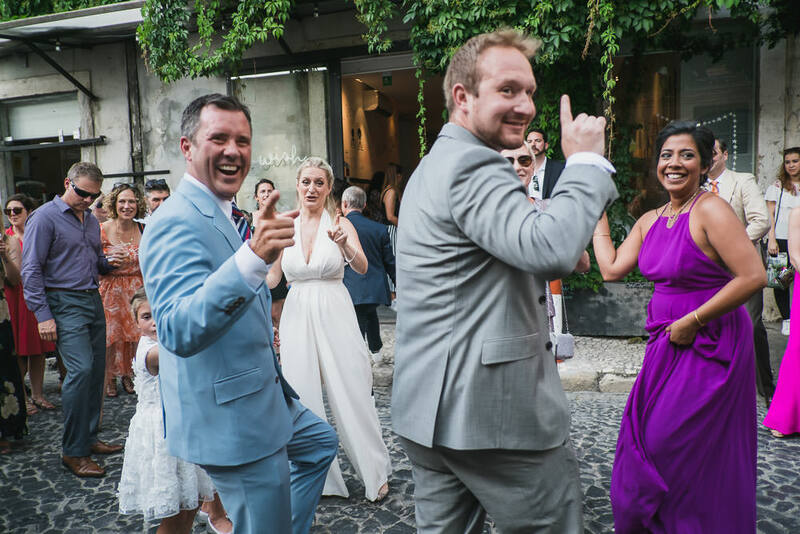 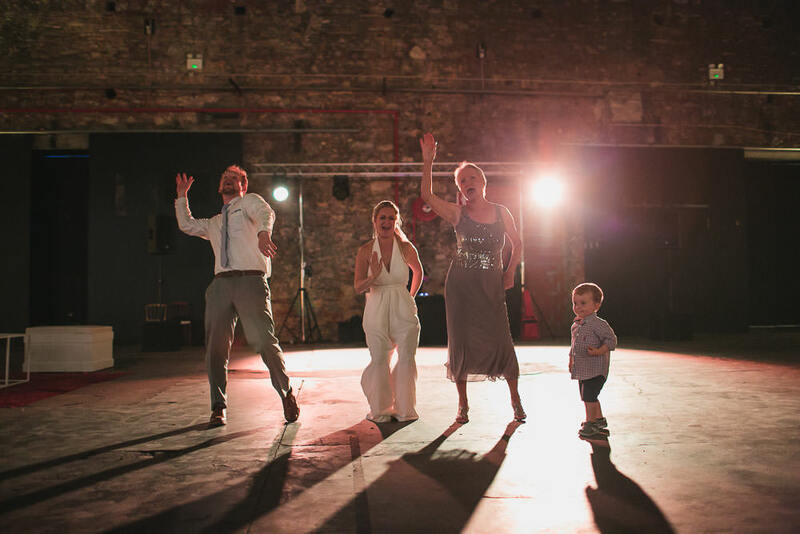 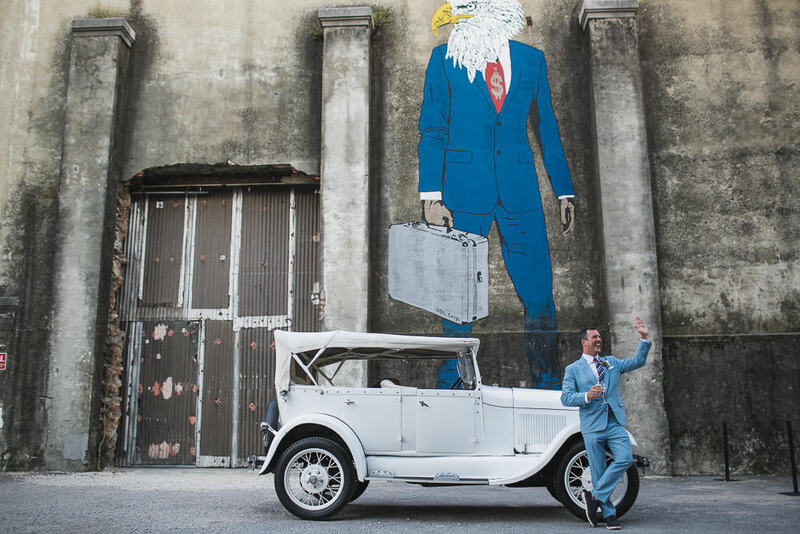 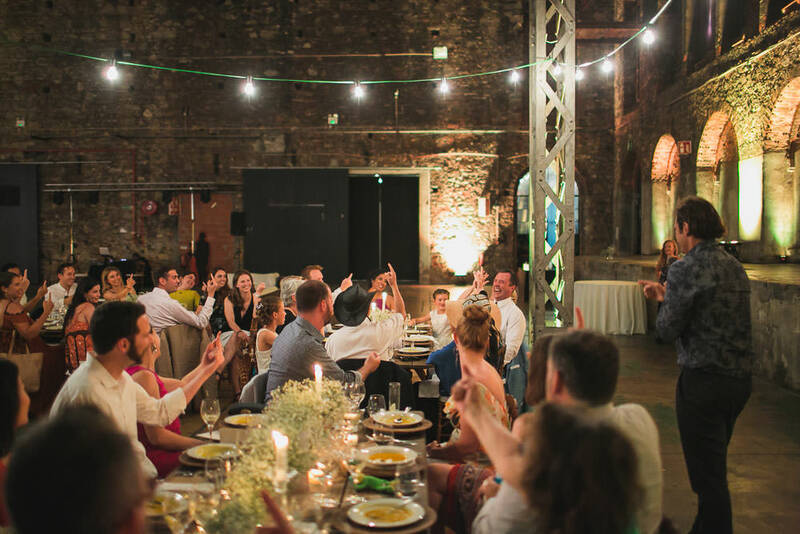 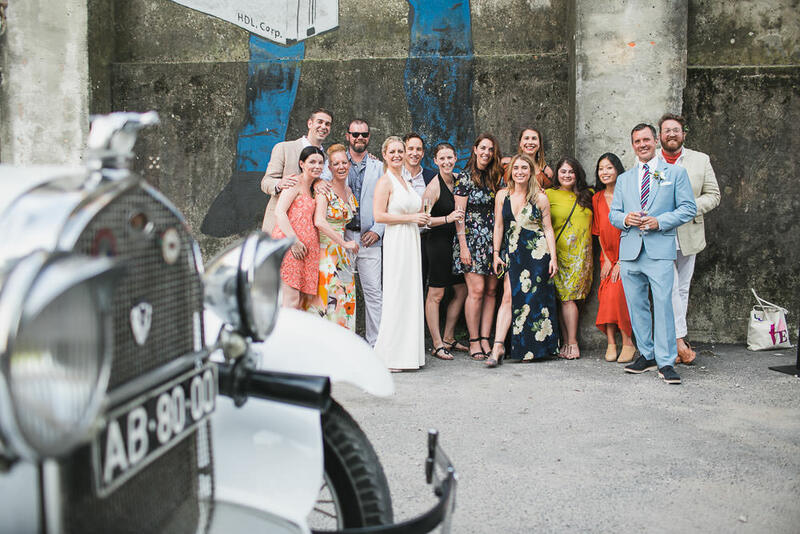 Inspired by the arts and music, they organized a destination warehouse wedding at LX Factory in Lisbon. 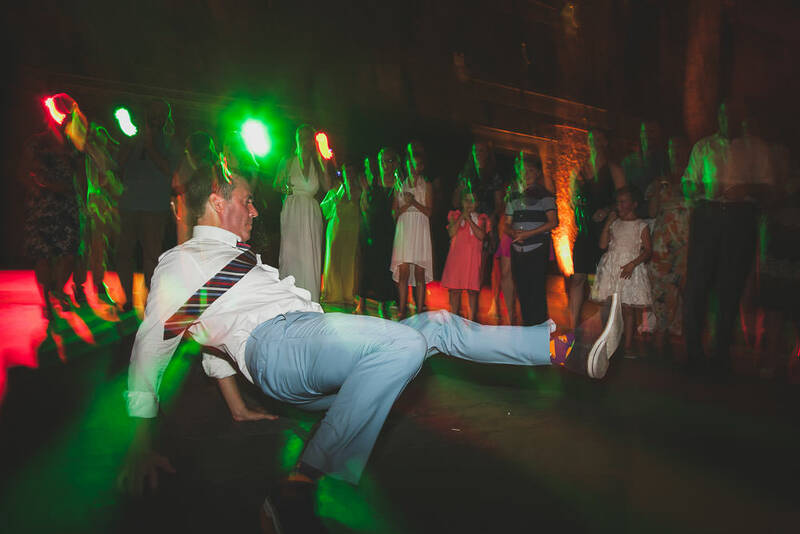 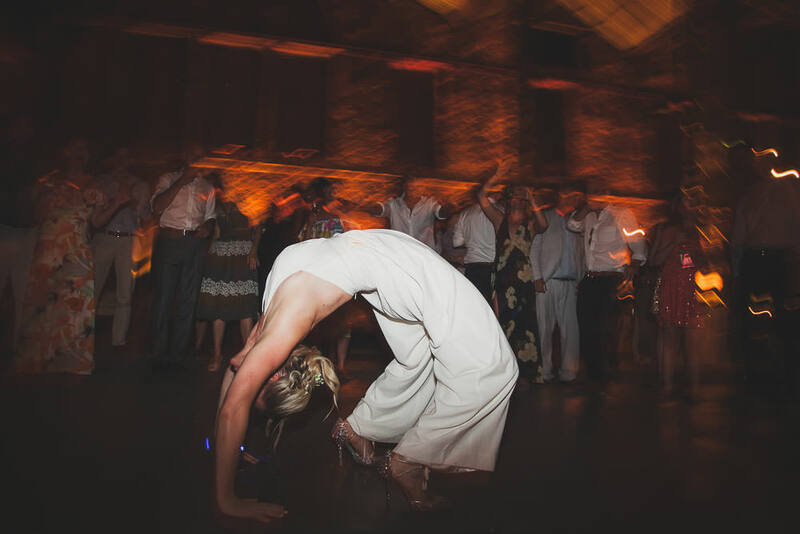 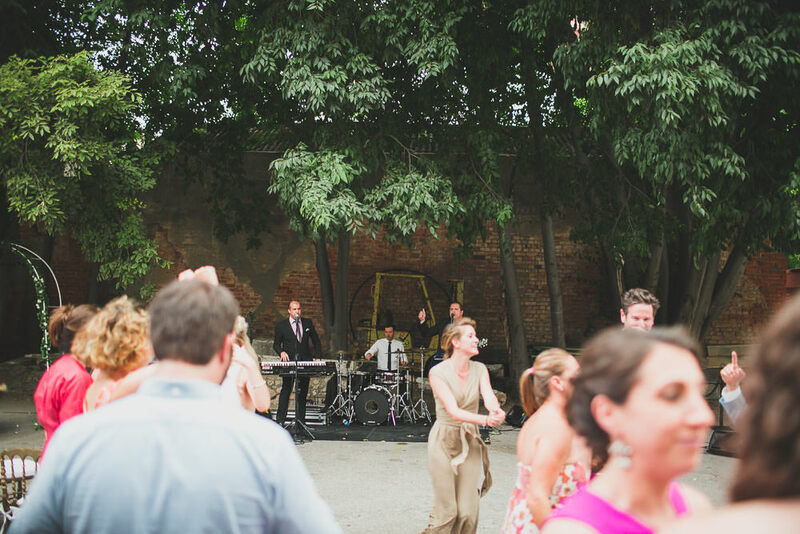 Caroline and Scott love music and books and they brought those elements into their ceremony. 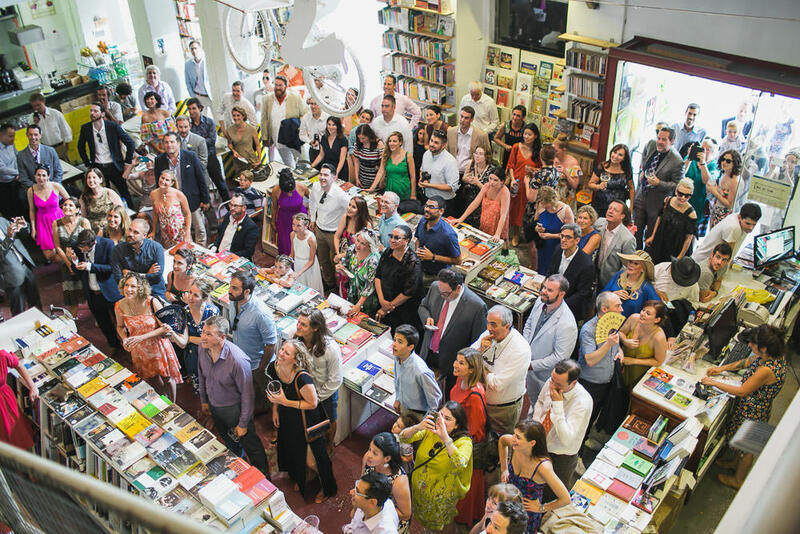 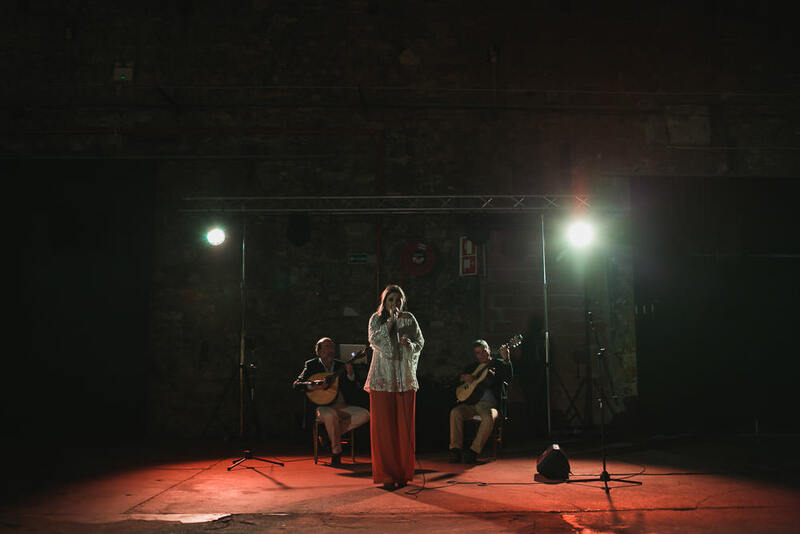 Their interest and admiration also embraces portuguese writers and music like Fado. 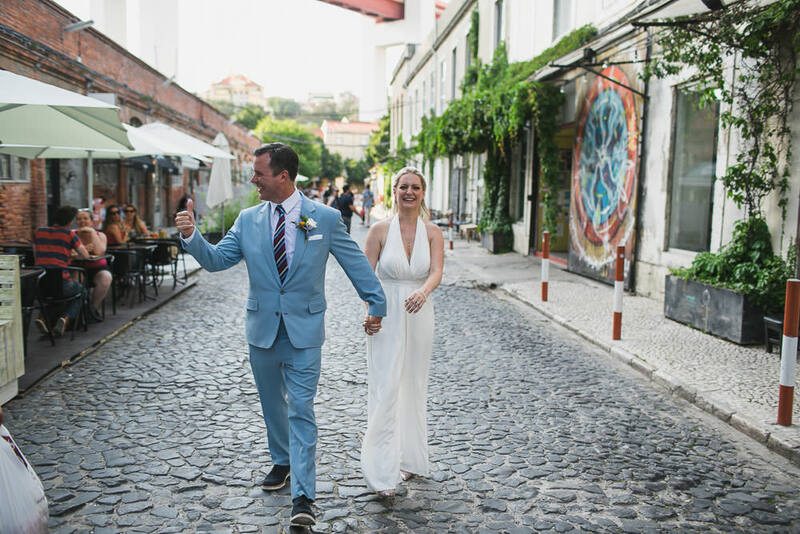 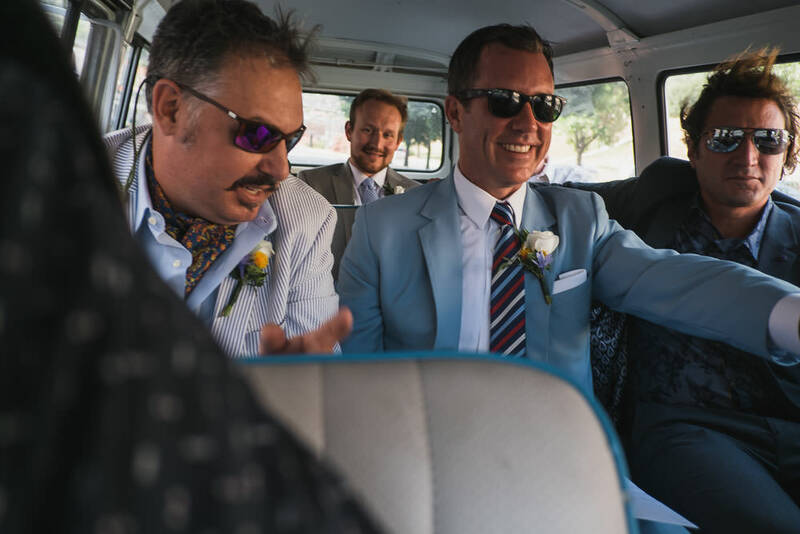 After some travels enjoying this beautiful country, the decision of getting married in Lisbon was chosen. 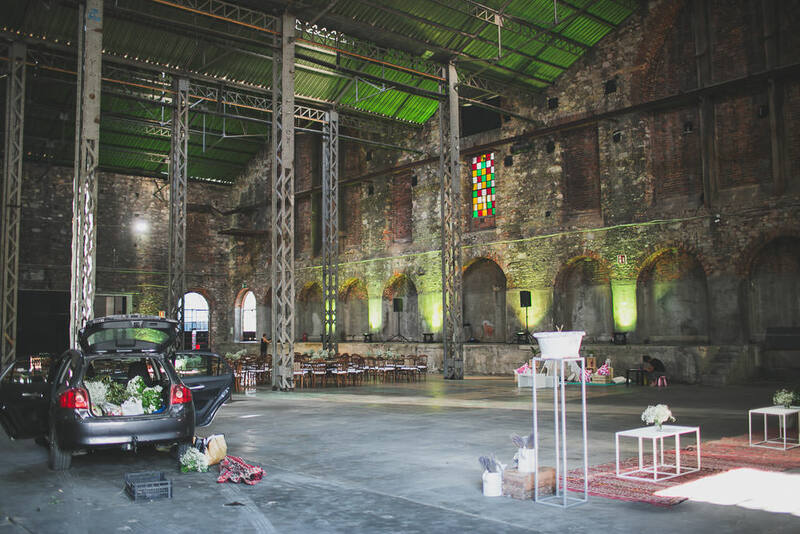 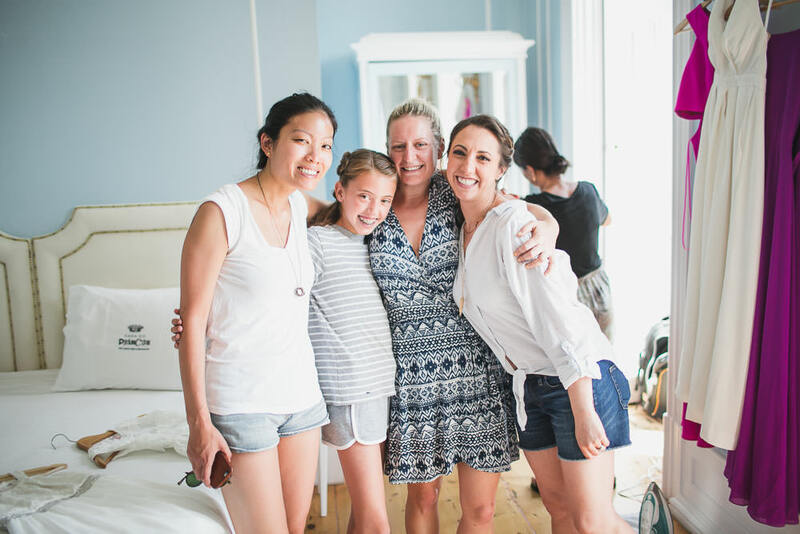 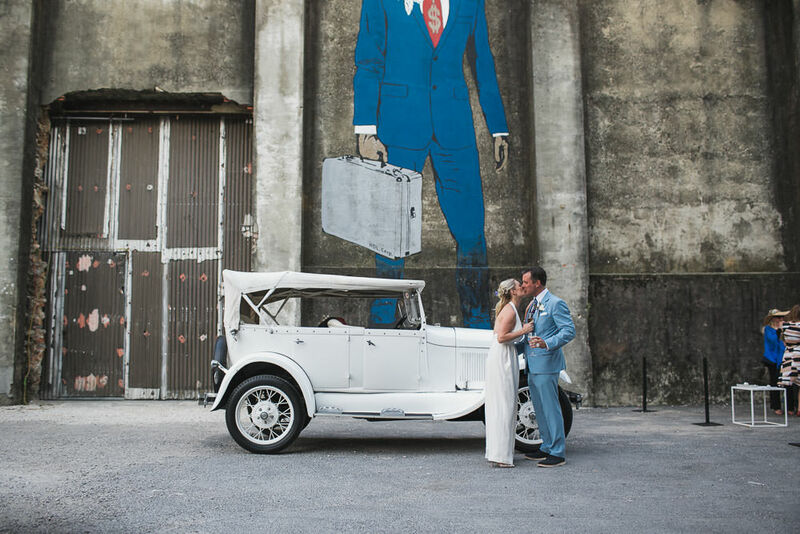 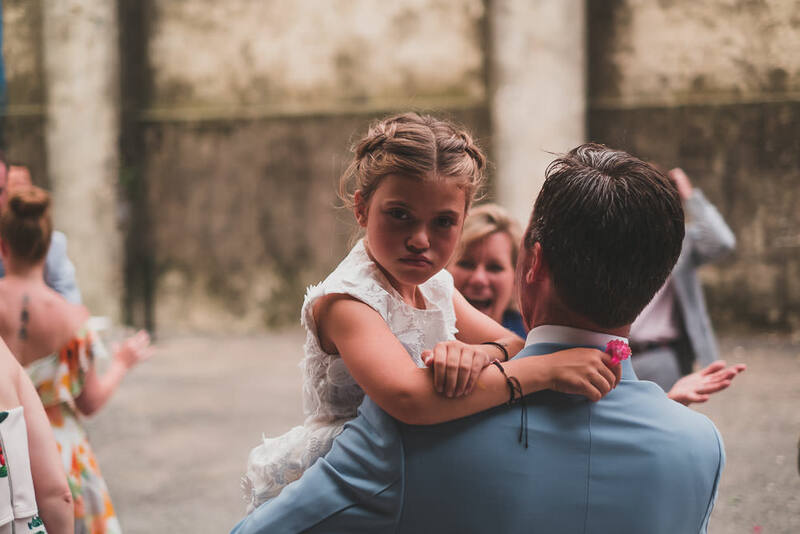 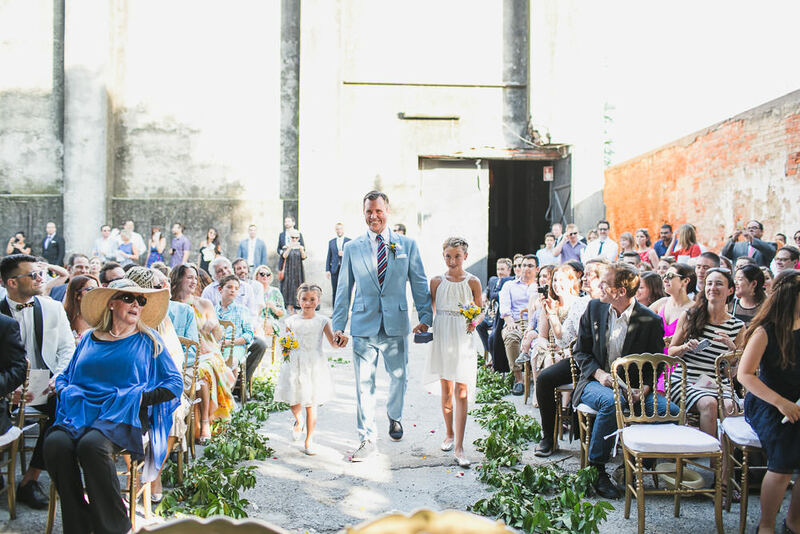 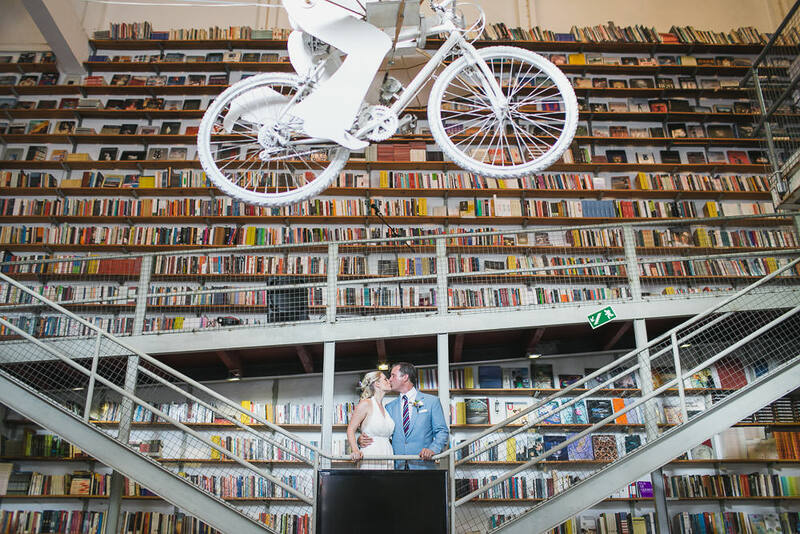 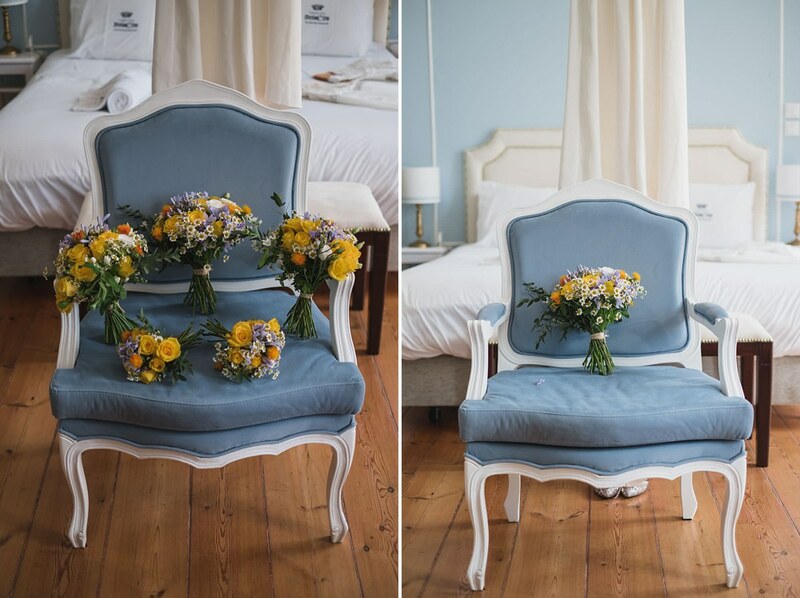 For their special day the Lisbon Lx Factory – LOVE XL gathered everything they wanted. 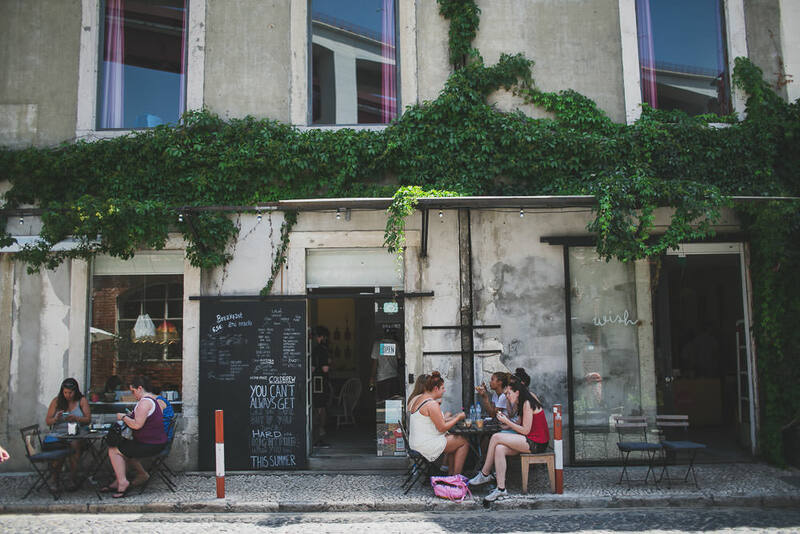 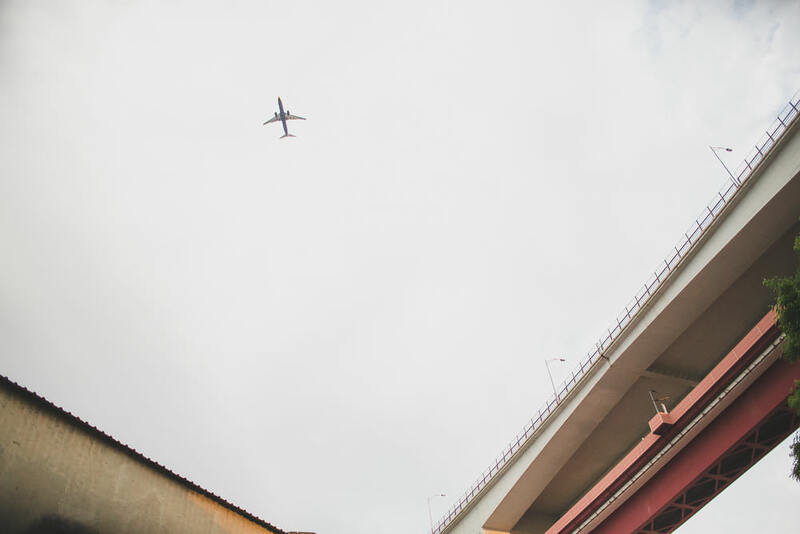 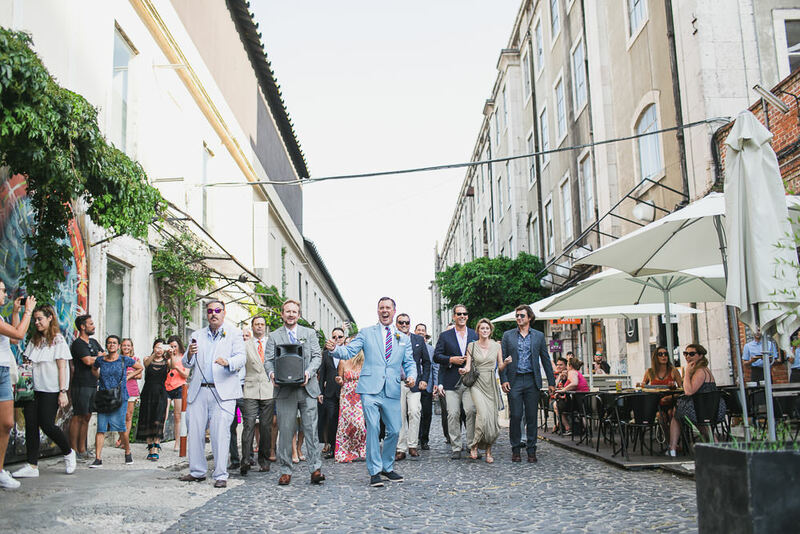 Portugal has a perfect location for a destination wedding and it has a well connected airport with America and Asia. 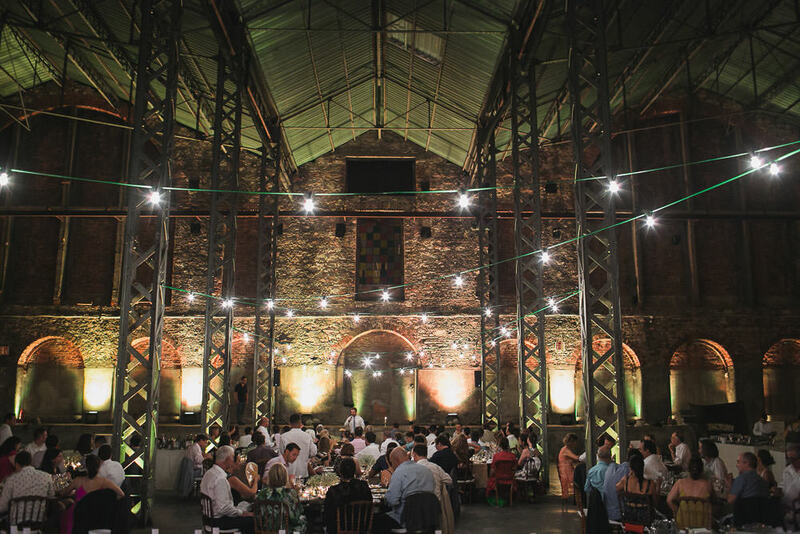 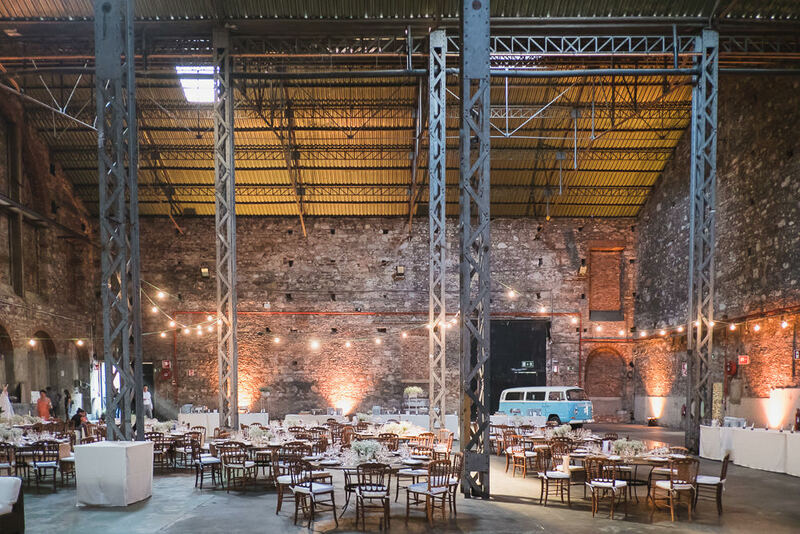 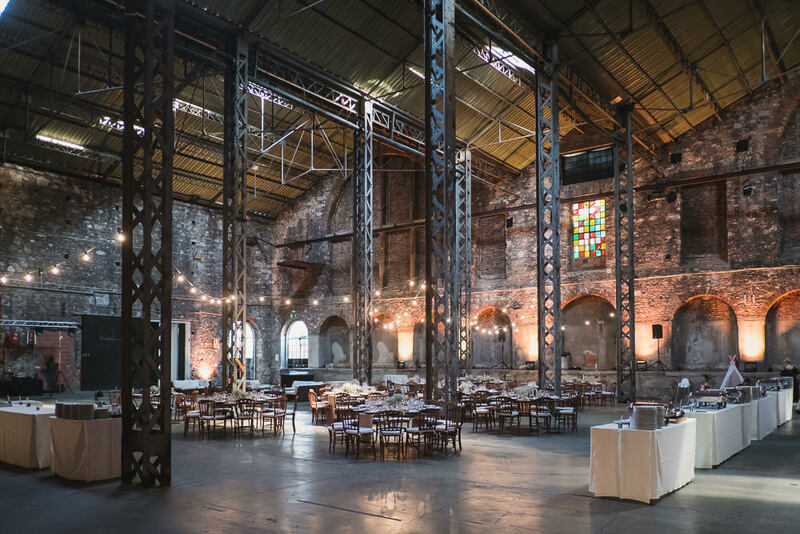 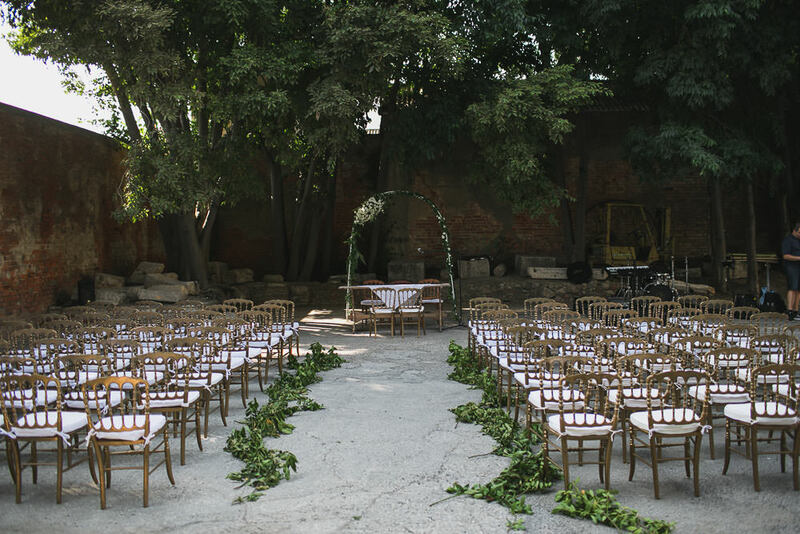 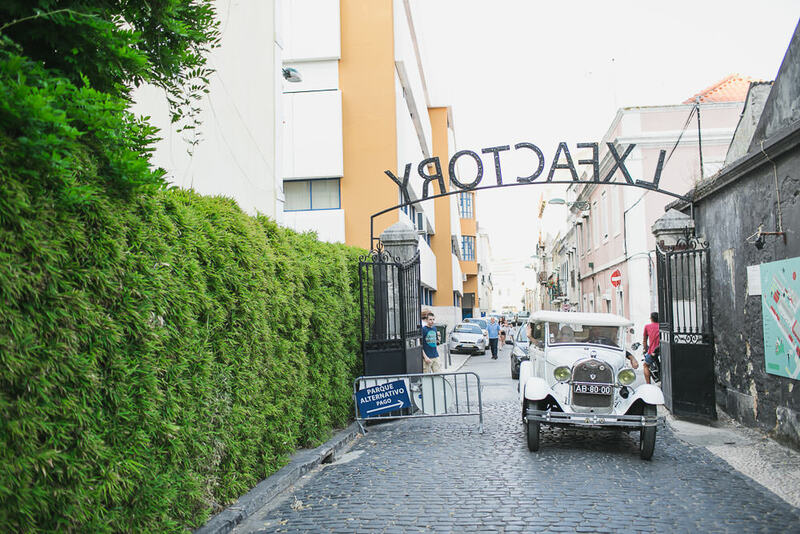 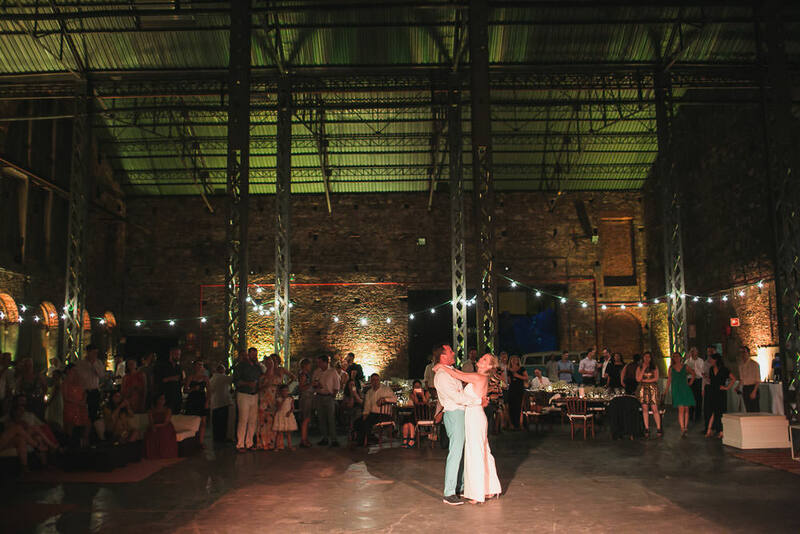 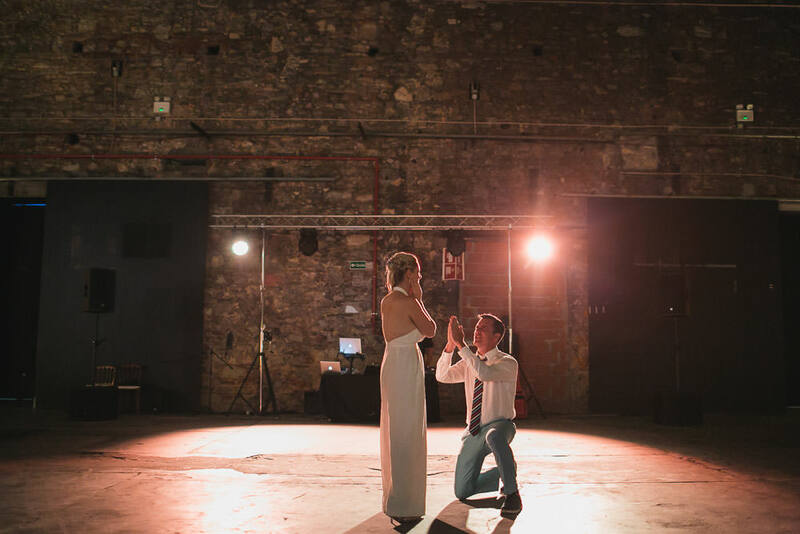 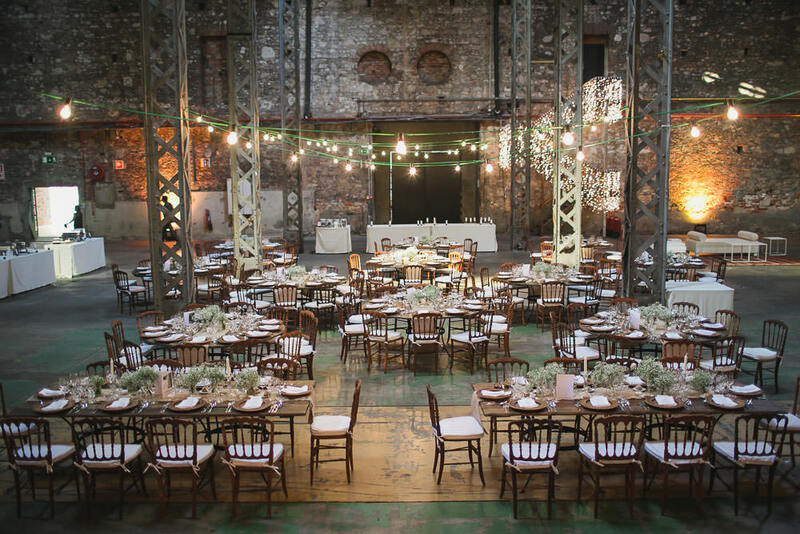 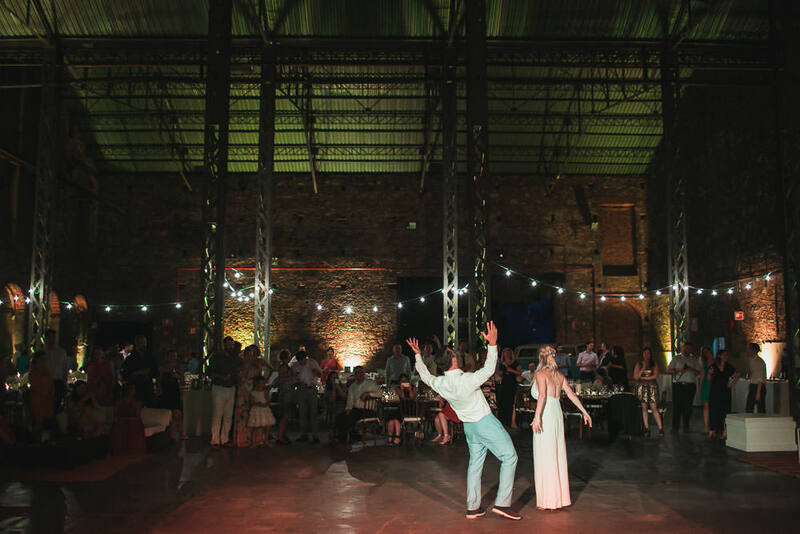 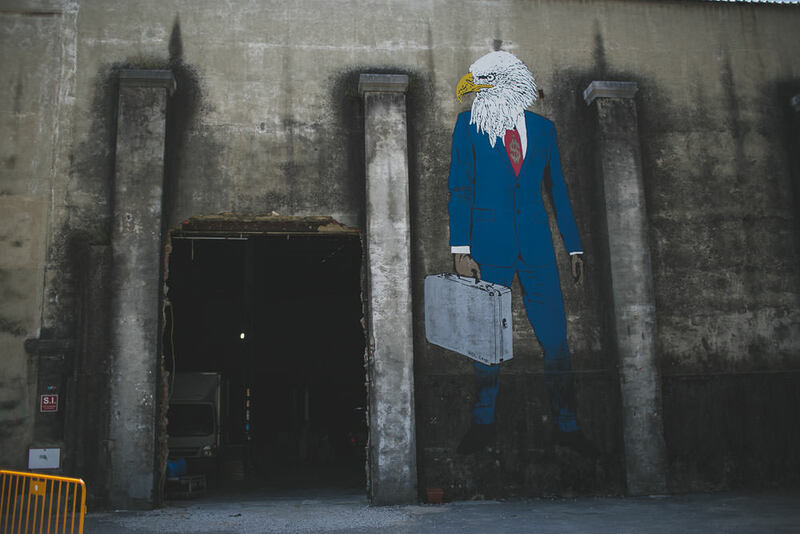 LX factory is a dream venue to get married in an intimate warehouse wedding with no worries about number of guest. 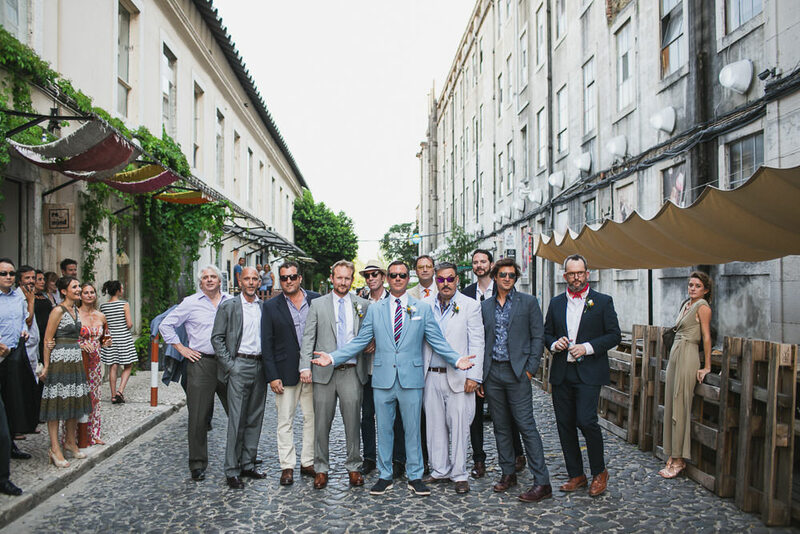 With a funky baraat Scott’s groomsmen starting the ceremony. 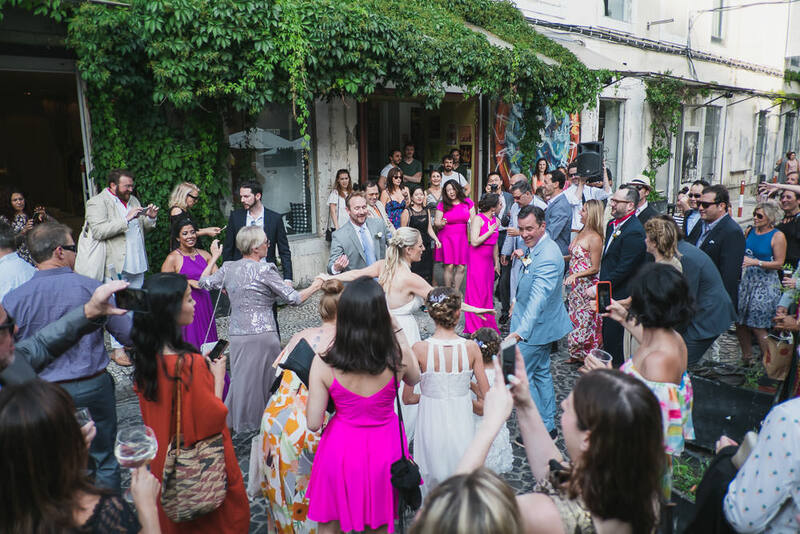 Music and love move everything, and the Caroline´s non traditional processional met with groom at the middle of the street in Lx Factory. 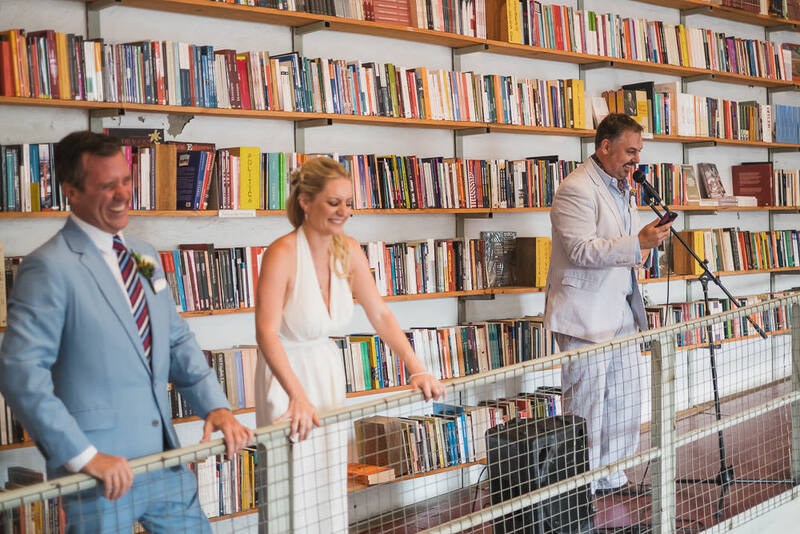 They got a crazy dance and after they read some poems at the LX factory Bookstore Ler devagar. 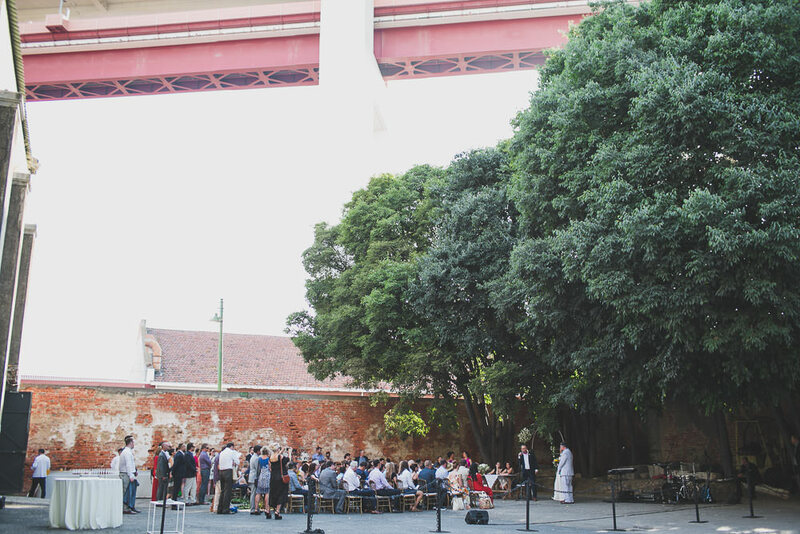 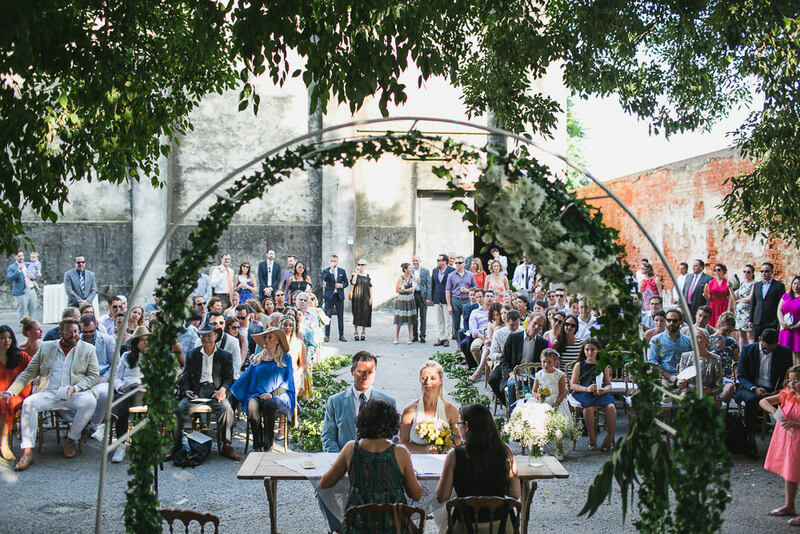 The intimate outdoor wedding started below the famous bridge of Lisbon, just outside the warehouse.